The American Locomotive Company's (Alco) model 251 prime mover would be the last diesel engine the manufacturer ever put into production. The power plant was conceived purely out of necessity due to the problems and failures of the earlier 244, which had powered its first FA and PA cab models designed for main line service. When developing the 251 the company made sure to get it right and this effort paid off as it was much more reliable than its earlier counterpart. Unfortunately, the harm caused to Alco's reputation from the fallout over the 244 greatly hurt its efforts to effectively compete against Electro-Motive during the 1950s, which continued to churn out popular designs like the F7, GP7, GP9, and others. 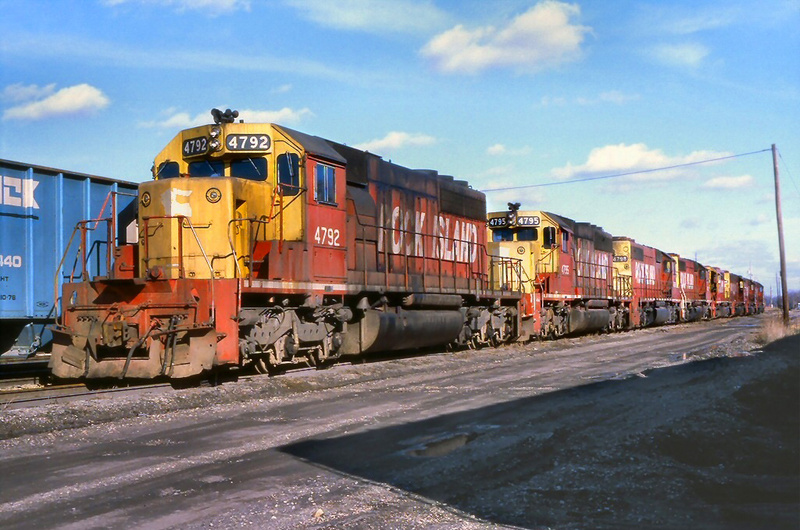 Alco would shutdown its locomotive business before 1970 although today customers can still order new 251 engines through Fairbanks Morse, which acquired the rights to the design. Just prior and during World War II Alco began to ramp up production on a main line diesel engine in an attempt to offer true competition to Electro-Motive. This began in 1940/1 when the model 241 was tested in an experimental cab unit that came to be known as the Black Maria. 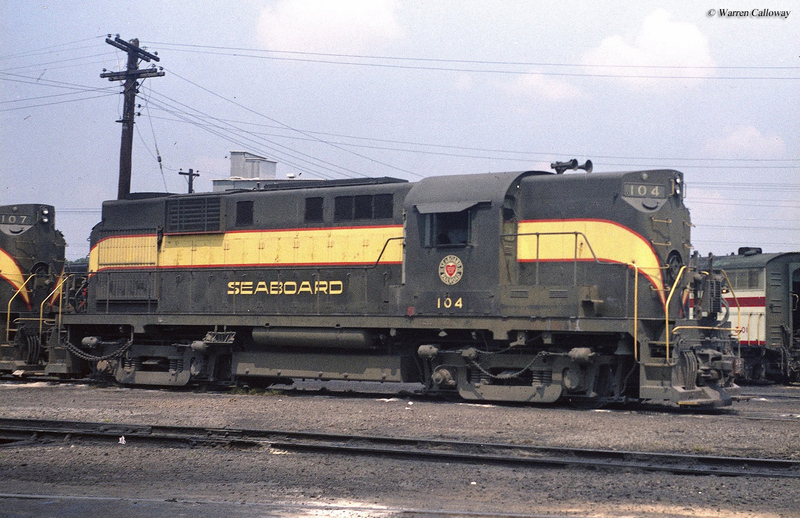 This locomotive was numbered 1500c and looked strikingly similar to EMD's later F3 released in 1945. Ultimately, Alco would decide against putting the 241 in production and instead focused on a new design, the 244 a few years later. This prime mover went on to power the builder's early cab models, the FA and PA (cataloged in 1946), as well as later road-switchers like the RS2 and RS3. Unfortunately, because the engine was rushed into production and not properly tested it experienced numerous mechanical issues that not only hurt sales but also Alco's reputation. Realizing the severity of the situation the company went back to the drawing board, eventually deciding to shelve the 244 altogether and focused on a completely new design. 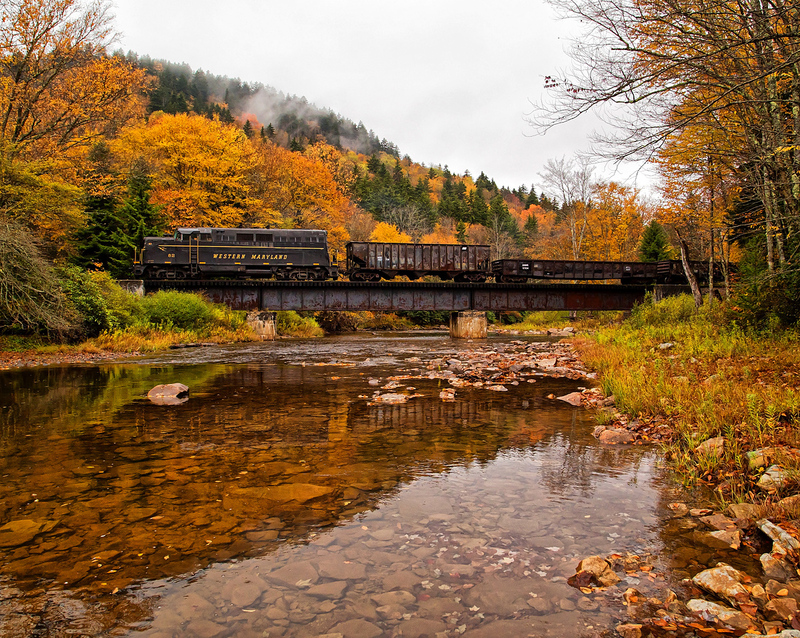 One of the lead developers of the 251 was Alco's chief engineer of diesel locomotives, Paul Vaughan, and this time around all efforts were made to thoroughly test the engine. 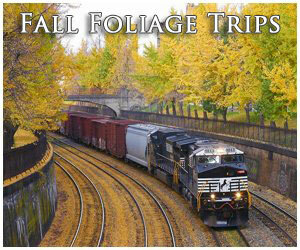 During this process Alco took the best aspects of the 244 and earlier 241, integrating both into the 251. Nearly everything in the builder's new prime mover was either upgraded or replaced such as the addition of an intercooler for the turbocharger (which improved performance and decreased temperature changes), external fuel injection lines, and improved crankshafts/camshafts/bearings/pistons. 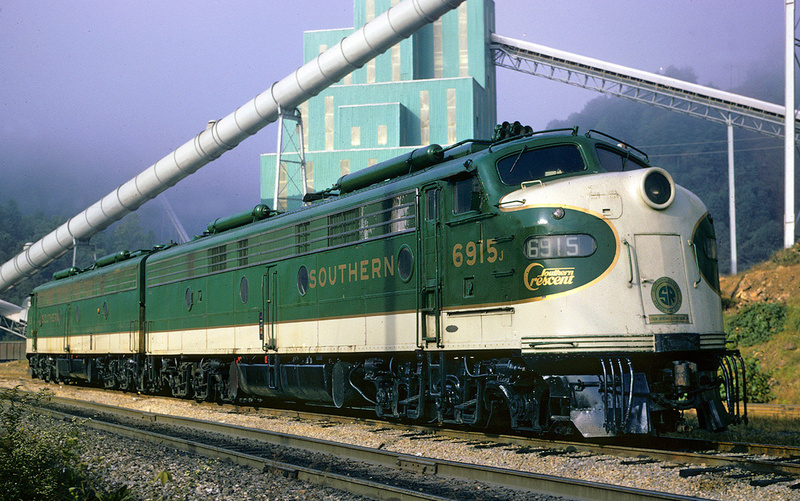 The first production-line locomotive to carry a 251 was the S5, a switcher built during 1954. Only seven of these small diesels were constructed, all for the Boston & Maine, but they gave Alco a chance to continue working out the kinks and flaws with its new prime mover. A year later the somewhat more successful S6 entered production. As troubleshooting of the diesel engine wound down Alco began cataloging a new line of road-switchers in 1956 starting with the RS11. 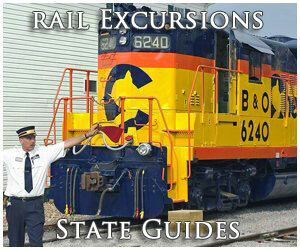 This locomotive featured the 12-cylinder, 251B prime mover that could produce a very respectable 1,800 horsepower. 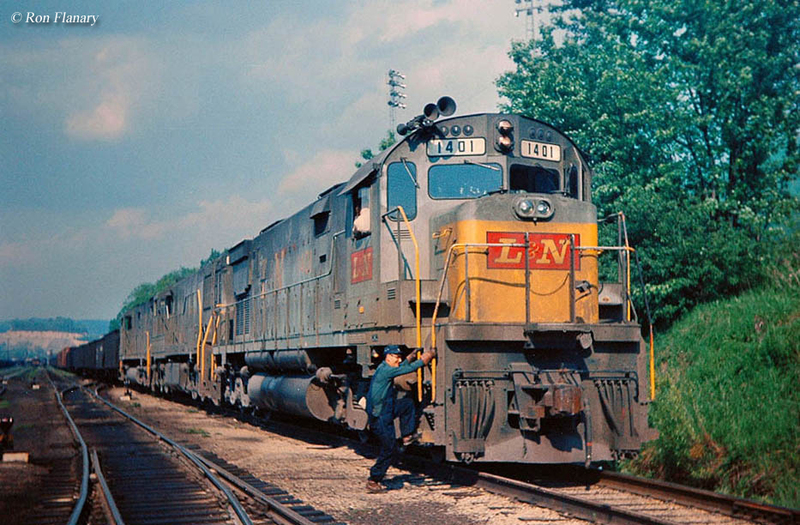 Additionally, the locomotive was offered with a low, short-hood to offer better visibility, which became standard on EMD products during the 1960s. During development of the 251 Alco also phased out earlier models that had either been unsuccessful because of the problems with the 244 engine or were no longer in demand. 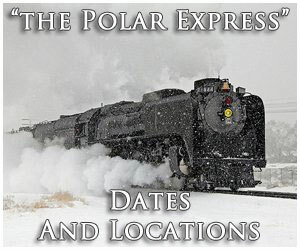 Two of these included the FA and PA, which were not cataloged after 1953 although Alco continued to fill orders on the cab models until 1956 (its Canadian arm, the Montreal Locomotive Works, also kept building the FPA4 used in passenger service until 1959). 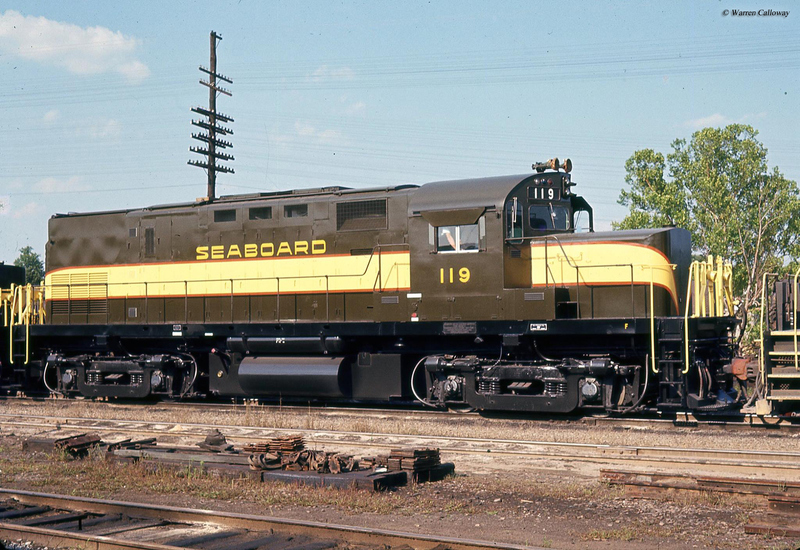 The RS11 saw several hundred unti built during its production run until the mid-1960s although the road-switcher did not really threaten EMD's dominance, which continued through early second-generation models like the GP30, GP35, and GP38. Alco went on to offer other domestic RS models including the more powerful RS27, RS32, and RS36 but none of these sold more than a few dozen examples. Finally, in a last-gasp effort to pull even with Electro-Motive, Alco cataloged its new Century line in 1963 which replaced the RS series. The Centuries were offered in a wide range of four and six-axle arrangements from the C420, C424, C425, and C430 to the C628, C630, and C636. 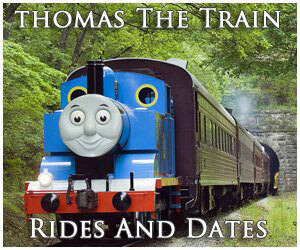 All of these locomotive carried either the 251B, 251C, or 251E in either 12 or 16 cylinder versions. Their horsepower rating ranged from 2,000 in the C420 to a husky 3,600 in the C636. Despite all of Alco's efforts, because the damage done from its failed 244 engine and the growing market share of General Electric (which began cataloging its own line of diesels in 1959 after ending its partnership with Alco) the company could no longer effectively compete in the diesel market. The builder closed the doors to its plant in Schenectady, New York during 1969 at which time it had fallen behind GE in sales. To read more about Alco's earlier model 244 prime mover please click here. Alco's Canadian subsidiary continued to build locomotives until 1975 when it was acquired by Bombardier and later dissolved. Eventually, one-time locomotive builder Fairbanks Morse purchased the rights of the 251 engine from Bombardier and continues to catalog the engine for customers. For a comprehensive look at the American Locomotive Company and all of the motive power types it built from steam, diesel, to electrics consider the book Alco Locomotives by Brian Solomon. Covering more than 175 pages Mr. Solomon's book details the history of Alco from its esteemed 4-6-4 Hudsons and 4-6-6-4 Challengers to vaunted RS and PA series diesel locomotives. If you have any interest in Alco this book is a must have!